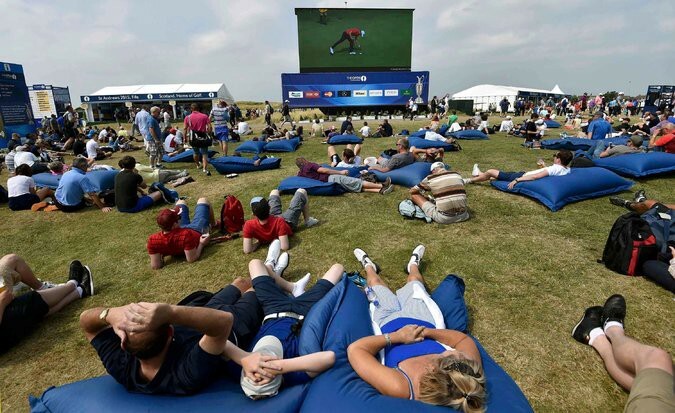 At the 2014 British Open, won by Rory McIlroy, fans at the venue had access to something they take granted in their day to day lives, but have been mostly denied at one of golf’s traditional show pieces so far — Wifi. From a fan engagement perspective though, it is their switch to digital scoreboards (or leaderboards — the apt reference for golf) that is changing the way people stay informed about what’s happening. 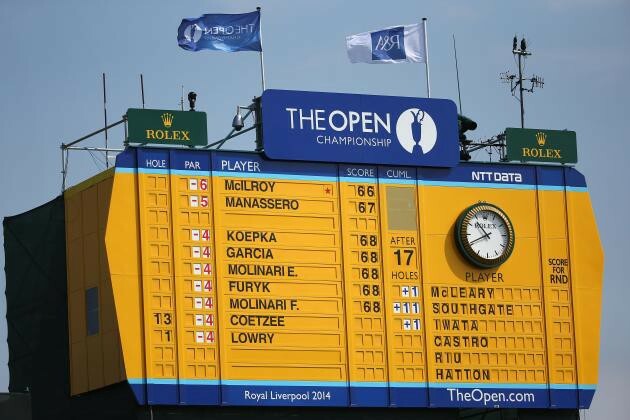 “Perhaps no place at Royal Liverpool better represents the tussle between tradition and technology than a small concession area next to the seventh fairway, where, behind a low white picket fence, a manually operated scoreboard stands next to a big video screen and well within pitching range of the new LED scoreboard next to the seventh green…. …Staring at the electronic scoreboard on the seventh hole for five minutes on Friday, you learned that the American Erik Compton, about to arrive on the green, was playing in his first Open and that he had hit two of five fairways and one of six greens in regulation. There were plenty of other Compton facts, although not the most interesting one (he has had two heart transplants). The critical challenge for the British Open though, may be manging the balance between the traditional and the modern — a fact highlighted by the New York Times article, as well as in this piece in the Golf Digest, where Ryan Herrington seems to be lamenting the loss of the old yellow leader boards.